Your risk of developing a cataract increases with each decade after you reach the age of 40. Cataract surgery is the only treatment available, but it’s a very effective procedure that eliminates cataracts while also correcting vision problems. 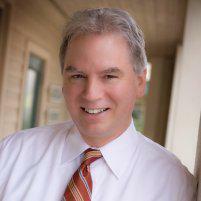 Dr. David O’Day at Charleston Cornea & Refractive Surgery has extensive experience performing cataract surgery. To learn whether you’re a good candidate for cataract surgery, schedule an appointment using online booking or by calling the office in Mount Pleasant, South Carolina. The clear lens in each eye fills an essential role in vision, as it precisely focuses light onto the retina at the back of your eye. Cataracts develop when proteins in the lens begin to clump together, making the lens cloudy and interfering with clear vision. In rare cases, cataracts occur in young adults due to an injury or illness. Most cases of cataracts, however, develop as you get older. Cataracts can begin in your 40s, but they don’t interfere with your vision until they get larger. As a result, you don’t notice a vision change until about 10-20 years after the cataract first started. Surgery is the only treatment for cataracts. It’s a common procedure that’s very effective and safe when performed by an experienced eye surgeon like Dr. O’Day. Using a small incision, a tiny probe is inserted that emits ultrasound waves to break up the cloudy lens. The pieces are removed, then a new intraocular lens is inserted. How are replacement lenses used to correct vision? If your vision is blurry or has changed enough to interfere with daily life, call Charleston Cornea & Refractive Surgery or book an eye examination online.